Czech Hard Rock band SWEET LEOPARD released their second album “Horny House - Special Edition” through City Of Lights Records on June 30th. Originally it was released in 2016 through Demon Doll Records, and this release is a limited edition with 2 bonus tracks on 300 CDs only. The band is offering Rock n' Roll and Sleaze Rock based on a revival of the 80's Sunset Strip shiny rock scene. 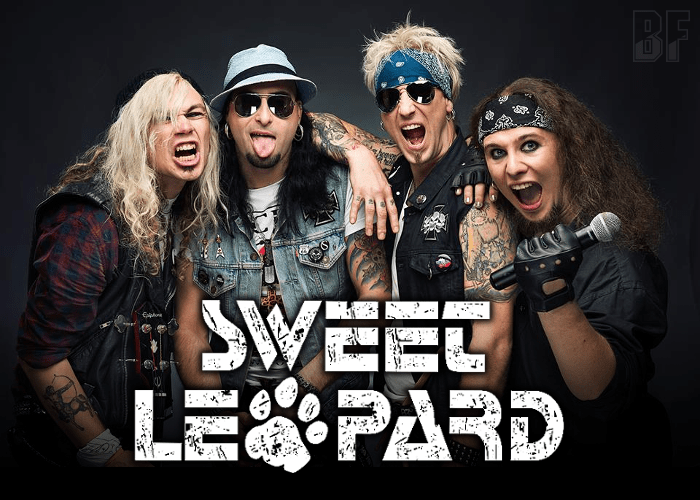 Tastes sweet as sugar but attacks your soul fast as a leopard, SWEET LEOPARD, was founded in 2011 by Michael Kit who set up one of the first Glam Metal band called LIPSTICK KILLER in 2007 in the Czech Republic. The band released 3 track EP “Wild Ride Hot Night” in 2013 and their debut album “Shock Me! Thrill Me! Love Me!” (Demon Doll Records) in 2014. For fans of Poison, Pretty Boy Floyd, Crazy Lixx, Crashdiet, Poison, Enuff Z'Nuff or Sleazy RoXxX.